-Fluid head with bowl size 100mm. 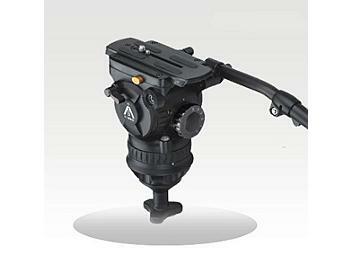 Incorporating 0-7 positions damping in pan & tilt and 0-5 positions counterbalance adjustment, 708H Series are suitable for News, Out door Events, which are equipped with the camcorders and professional videos. Featuring the outstanding 0-7 positions damping system, 708H Series provide the precise movement and entire video control in most of tough conditions. Double handle bars are available.